March 10, 2012 marked a milestone for iLookChina — we reached 1,500 posts and decided to slow down. We now post two or more days a week instead of daily. Regular weekly posts will appear on Tuesday and Wednesday (starting October 1, 2013). Thank you! There are many misconceptions about China, and the Western media often does not get it right – at least in the way they interpret why something happens the way it does in China. Judging China from Western standards and beliefs is wrong. Since China is changing at a fast pace, judging today’s China based on its history before 1976 is also wrong. My goal is to write a Blog where people outside China may discover China and understand it better. If you run into an advertisement, I make no money from them. Since I haven’t paid the annual fee to block ads from this Blog, WordPress places a few on this site and I have nothing to do with them. Eventually, I’ll convince myself to pay the blocking fee to get rid of them. I am seldom critical of China since many in the West are so good at that. It seems that racists, China’s critics (Tibetans and members of Falun Gong and the biased supporters of both groups), Sinophobes (according to my research about 35 to 50% of Americans) and out-of-date ignorant people dominate the major Western media and the Blogosphere. It does not help that each time there is an election in the so-called free and democratic USA that politicians crawl out of the termite infested woodwork and use China as a scapegoat to gain votes from the same people that are either China’s enemies or are ignorant of and fear/hate China. In fact, the media has been a willing pawn of political parties since the presidential election between John Adams and Thomas Jefferson in 1800. In addition, George Washington wrote a letter to the American people as his farewell address. In that letter, he warned the nation about the dangers of political parties to the government and the country as a whole. While Washington accepted the fact that it was natural for people to organize and operate within groups like political parties, he also argued that every government has recognized political parties as an enemy and has sought to repress them because of their tendency to seek more power than other groups and take revenge on political opponents. Over the years, while still attending public schools, our daughter reported several times that her history teachers, when talking about China, were often wrong and their views were outdated. When she raised her hand and told what she knew of today’s China, the teachers and the students would not accept what she had to say. To those Americans that have never visited or studied China, our daughter was wrong. In fact, our daughter did not learn of China by reading iLook China or from books. Although she was born in Chicago, USA, she has been to China every year since her birth to visit her grandparents and has usually stayed all summer. Many times, she returned to China during the December winter break. She has also traveled extensively throughout China. You see, family, to the Chinese is extremely important—more so than most non-Chinese Americans could imagine. Living in China and speaking the language (without an accent) gave our daughter an education and a different perspective of China than the popular but often wrong view held by most Americans that have no knowledge of China but the standard gloomy stereotype of a despotic government ruling over an oppressed, depressed population, which is 99.9% wrong once you get to know the “real” China. However, I have discovered a few media outlets that report unbiased news and information of China such as Al Jazeera English and Foreign Policy Magazine, and I sometimes rely on them for the posts I write. I also rely on first-hand experience of having visited China and traveled extensively there. 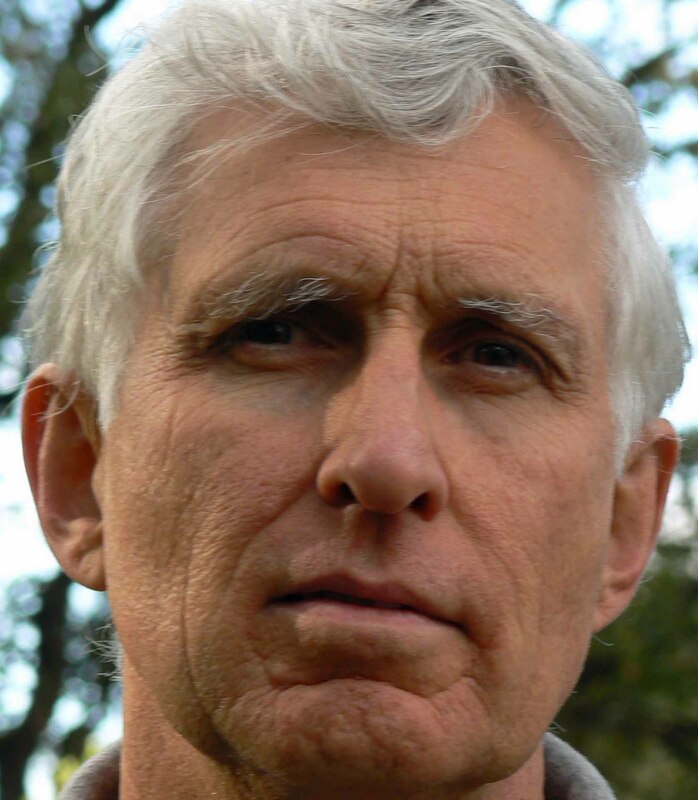 It also helps to know a few expatriates that live in China, such as Tom Carter, the author of China: Portrait of a People—Tom and I met after we read each other’s books. I do not claim to be an expert on China, but why should I let that stop me from sharing what I do know? In this Blog, I will be writing posts about China’s history, art, music, operas, individuals, and current events with editorial comments sometimes included. Many will focus on current events and China’s five thousand year history. When I read someone else who is offering an unbalanced, one-sided criticism of China and I disagree, I will write posts that provide a different view to offer a balance. I’m sure that this will encourage a few Americans to get angry with me, since I will achieve this balance with “ugly” examples from the U.S. Since I launched iLook China, I have been called “stupid”, “Pro China” and a “Panda Lover”. Those are a few of the polite terms. In fact, since I was born in the U.S., I will take advantage of my “First Amendment, freedom of expression” rights. I have no problem with anyone disagreeing with me or pointing out something that may be wrong as long as he or she knows what he or she is talking about and offers a well balanced argument and the response isn’t all emotion. Some Americans, who only believe in his or her freedom of expression, may feel I’m a traitor. However, how could I be a traitor since the US is not at war with China and China is America’s largest trading partner and has helped keep America economically viable by buying more than a trillion dollars in US debt to keep the US government floating. Instead of being America’s enemy, China has been our friend even after having its hand of friendship bitten many times. Of course, China’s government must consider its national interest as the US does, and this may lead to decisions that Americans may not like. Who is Lloyd Lofthouse? Well, he lives in the belly of a Chinese family, and he earned a BA in journalism after fighting in Vietnam as a U.S. Marine. Later, he earned an MFA in writing. While working days as an English teacher (taught 5th grade to 12th from 1975 – 2005) at a high school (1989 – 2005) in California, he enjoyed a second job as a maitre d’ in a multimillion-dollar nightclub (1980-1982). He now lives near San Francisco with his wife, with a second home in Shanghai, China. Lloyd has traveled to China often since his first trip in 1999. He has also spent more than a decade researching China, and his first two novels are about China. 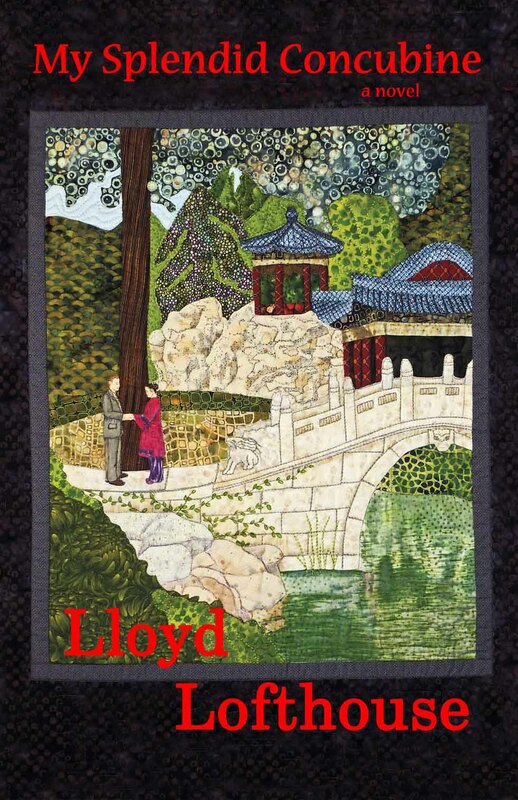 Lloyd’s first novel, My Splendid Concubine [now in its 3rd edition combining both the prequel and sequel in one book] earned honorable mentions in fiction from the 2008 London Book Festival, 2009 San Francisco Book Festival and the 2009 Hollywood Book Festival. His second novel, Our Hart, (the sequel) won honorable mentions in fiction at the 2009 Nashville Book Festival, the 2009 London Book Festival the 2009 DIY Book Festival, the 2009 Los Angeles Book Festival, and was a Finalist of the National Best Books 2010 Awards in Historical Fiction. His short story, A Night at the Well of Purity, was named as a finalist for the 2007 Chicago Literary Awards. He also writes two other Blogs. Crazy Normal, the Classroom Expose is about teaching in America’s public schools, the US public education system, the politics of education in the US, and parenting, etc. The Soulful Veteran is a Blog about the Vietnam War, combat and Post Traumatic Stress Disorder. This is a really amazing blog about China. As a Chinese, I really like what you wrote in your introduction: My goal is to write a Blog where people outside China may discover China and understand it better. I actually finished an infographic about foreigners in China recently. I shared some tips that foreigners should know when they visit or live in China. I am wondering if I can send it over for you to take a look. I think maybe you would like to share it at your blog for your readers. If your info-graphic is on your blog, I could see it there. Hi Lloyd, there is an excellent blog that I would like you to add to your blogroll. Here is it. Your blog sounds good and very informative for readers like me. I want to write a piece of information related to china tourism for your blog, If you like!! Your IP address is located in India. Have you been to China and if so where? I emailed this website page to all my contacts, because I like to read it and then my friends will too. I am truly pleased to glance at this Blog which includes tons of helpful information, thanks for providing such information. I create a comment whenever I like an article on a website or if I have something to contribute to the conversation. And after this post About iLookChina, I was actually moved enough to post a thought. if you are writing on additional social sites, I’d like to follow everything fresh that you post. Would you make a list all of all your social pages like your linked in profile, Facebook page or twitter feed? My wife bought the DVD in China and brought it home. I looked and cannot find this movie for sale online in the US. Amazon does have a Chinese Website and you may be able to find it there but I’m not sure they will ship to the US. I hope that helps. I am sincerely grateful for our reply. I enjoyed your commentaries. Thank you.